This is a classic ballgown silhouette. 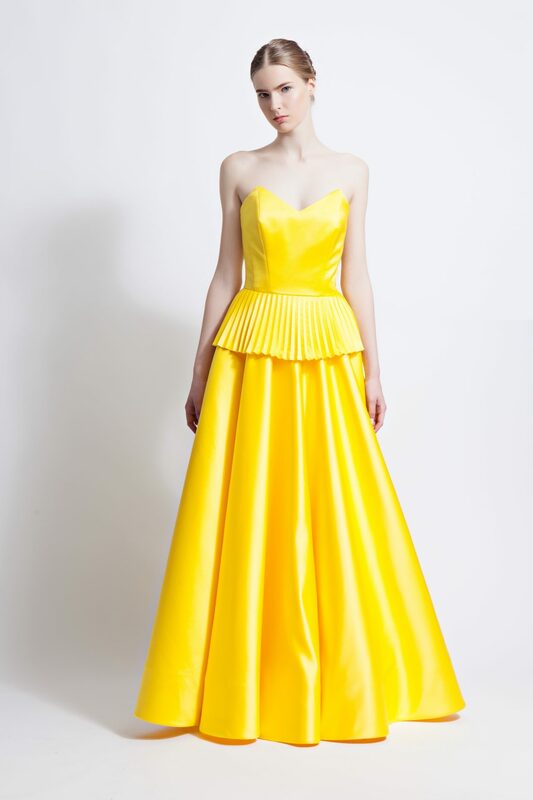 Cut from lustrous golden yellow faux-silk satin, this gown is boned at the bodice for structure. The pleated peplum at the waist draws attention to the smallest part of your frame. Elaborate skirt is underlined with organza crinoline to give it volume and stability. Styling tip: Complement the yellow hue with a sweep of warm blush and a soft-pink or burgundy lip.